What makes a great realtor is the perfect blend of diverse skills and a personality committed to a single goal - You! 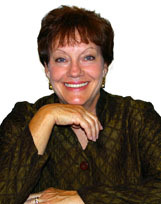 With Sharon on your team, the key aspects of the sale of your Colorado Springs property is handled by a Colorado Broker Associate, GRI, CRS who is completely familiar with your Colorado Springs property and your real estate goals. Sharon's process for marketing must match your objectives, priorities and needs and will be tailored to fit the selling features of the property.